It's the first full and clear photo of her bump! 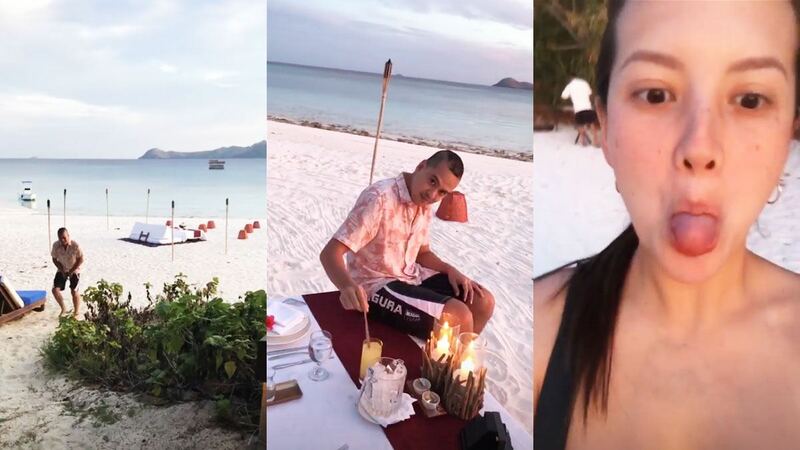 While she is embroiled in a legal battle with the parents of the minor whom she accused of taking stolen shots of her, Ellen Adarna is vacationing in Amanpulo island resort in Palawan with her boyfriend and rumored fiance John Lloyd Cruz. Since rumors of her pregnancy surfaced, the actress has been posting photos or videos of only John Lloyd, their family and friends, and her face. Today, May 19, photos of a pregnant Ellen surfaced on the internet, crashing rumors that she has already given birth. Although she has been spotted with her bump before, today's photo shows Ellen flaunting her belly. Ellen has yet to comment on her pregnancy or the ongoing case filed against her.